We’re all probably counting down days until Christmas! However, as time inches closer, it may be more stressful when we have no idea what to get for our loved ones and we’re running out of time! Well fear not! 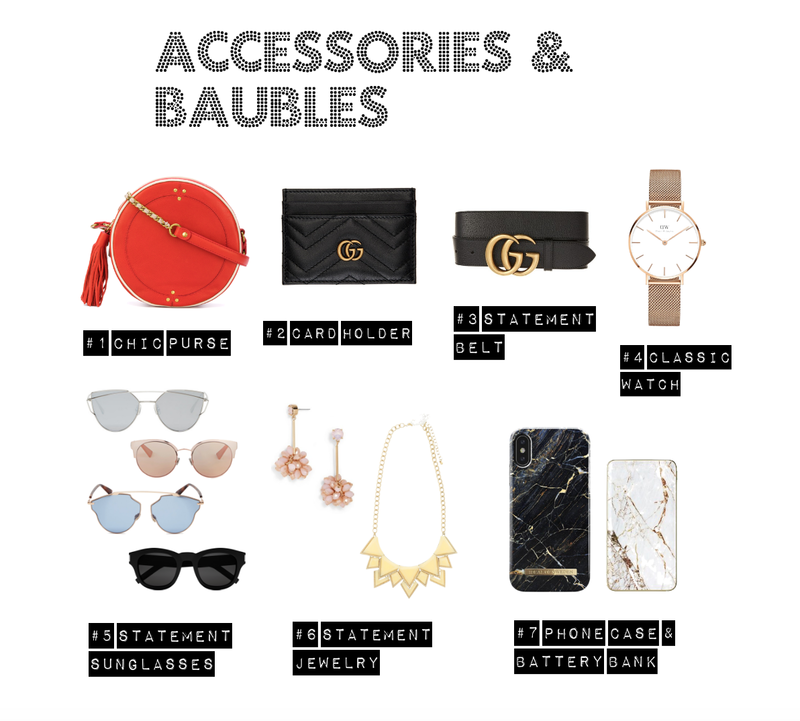 Because, I’ve compiled a list of gift ideas that I would gift, with most of the items, I’ve personally tried and tested! I hope you all enjoy it and it helps spark ideas for your shopping list and makes your life easier! Also, most things I’ve linked are now ON SALE! So grab a good deal when you see one! You’ll be directed to most deals once you land on the website. If there’s an exclusive code needed, I’ll be sure to mention it as well! Hope it helps you shop! Don’t hesitate to ask me any questions or if you’d like me to make personal recommendations! Just leave a comment, and I’ll reply asap! Also, share what other gift list ideas you have! I’m sure it’ll help those who stop by! Thank you and have a fantastic week! Travel related gifts are my favorite. No one gets sad when you give them travel stuff because it’s significant of adventures ahead. thank you! i definitely love travel related gifts as well! 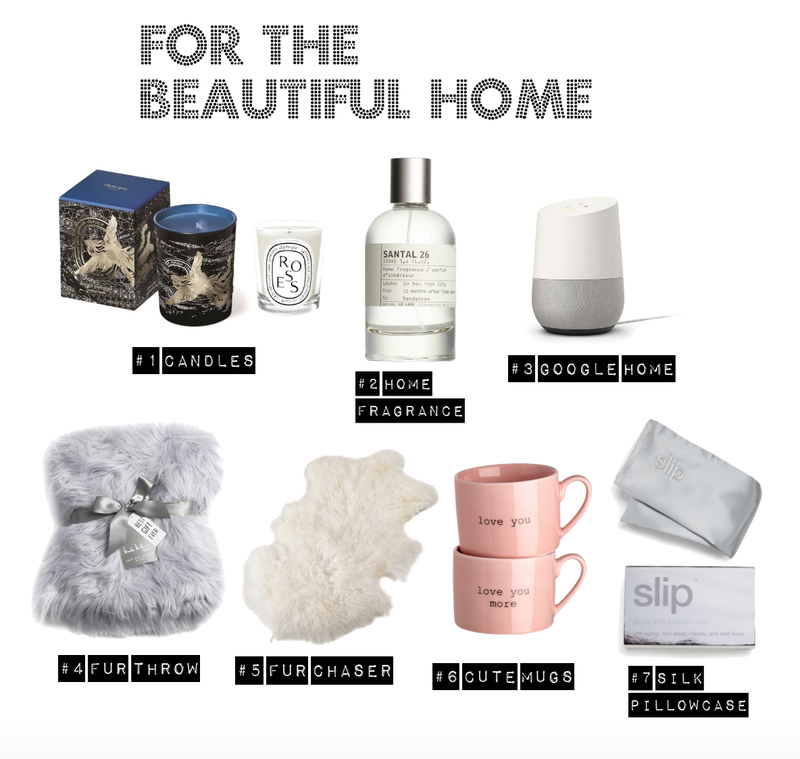 Love all this gifts the beautiful home and accessories are my favourite. So pretty. These are great gift ideas. I’m almost done shopping! I would like to get one or two more things for my oldest daughter. These are wonderful ideas! totally need it for this year! Love the re, round purse and the exquisite knit ruffle sweater ! Great picks and great timing– just finishing up my gift purchasing! I love all your options! I especially love how most of them are within my budget. I love those sunglasses. What a comprehensive gifts full of great options! Love how everything is within budget! Yes! Definitely! I love having options. Nothing I listed was extremely expensive, because budgeting is sooo important! Love all gift list under budget. 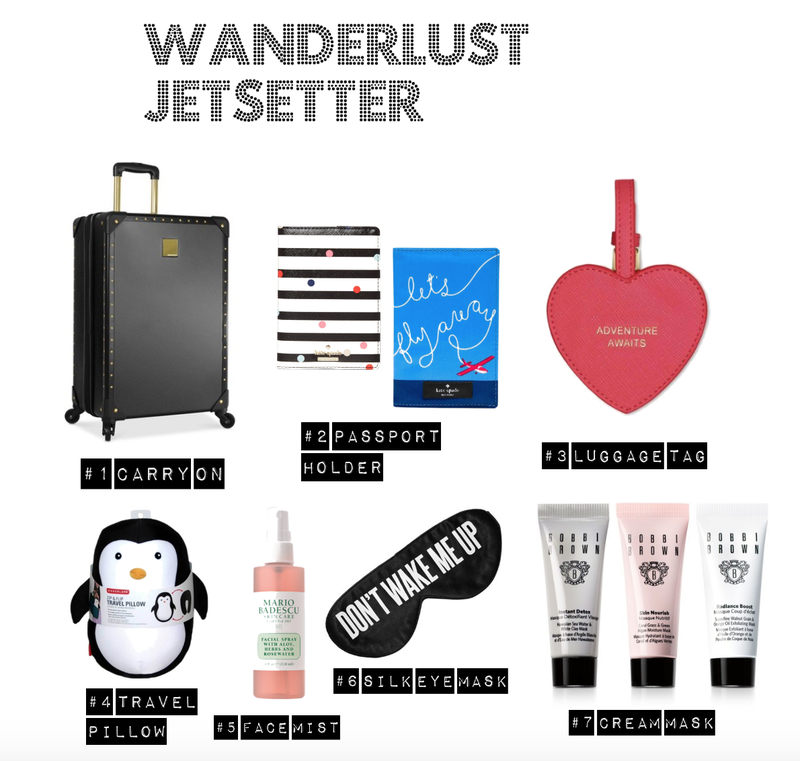 Especially I love the wanderlust jetsetter, the penguin travel pillow is super cute! I got the penguin travel pillow from Le Boy last year and it’s been with me on all my jetsetting journeys!!! Awesome one! The list for wanderlust jetsetter is my fav. I do have some friends fitting this category well. Great recommendations! I always find it difficult to shop for other people!! Great ideas for gifts for my girlfriend… will check them out. Thank you! These are really good products for grabs. But, I hope I could also get some discount coupons. I loved all of these ideas!! These are all really great gift suggestions. They are all really lovely gift ideas for so many different people and a budget is even better. I’m all for cozy gifts like sweaters and blankets. I really like how you can actually save when you think of gifts like this. So many goodies here! Love all the Gucci stuff. I really like that you incorporated all different types of gifts and budgets. I’d like the travel gifts! I`m inlove with the white marble phone case. These are really cool gift ideas for the Christmas and nee year. Gonna need some of them. loved the home decor items. Love your choices. Especially the sweaters look fantastic! Need to check them out. Google Home is a great gift idea. It’s perfect to add to any kitchen or living room to improve all facets of your life. These are absolutely lovely Christmas ideas! I love that there are items for every budget! Ohhh great picks. I see a few thing I need for myself! Happy Holidays! These are some inspirational ideas. I of course particularly like the one for travelling… Merry holiday season! This post was so helpful! Thanks for sharing! Home gifts are always wise choices! I love your suggestions! I love these gift ideas. Great selection! The little sample box of dry shampoo is a great idea. I love the stone looking phone case. Buenísimas todas las ideas y como dices para todas las carteras. 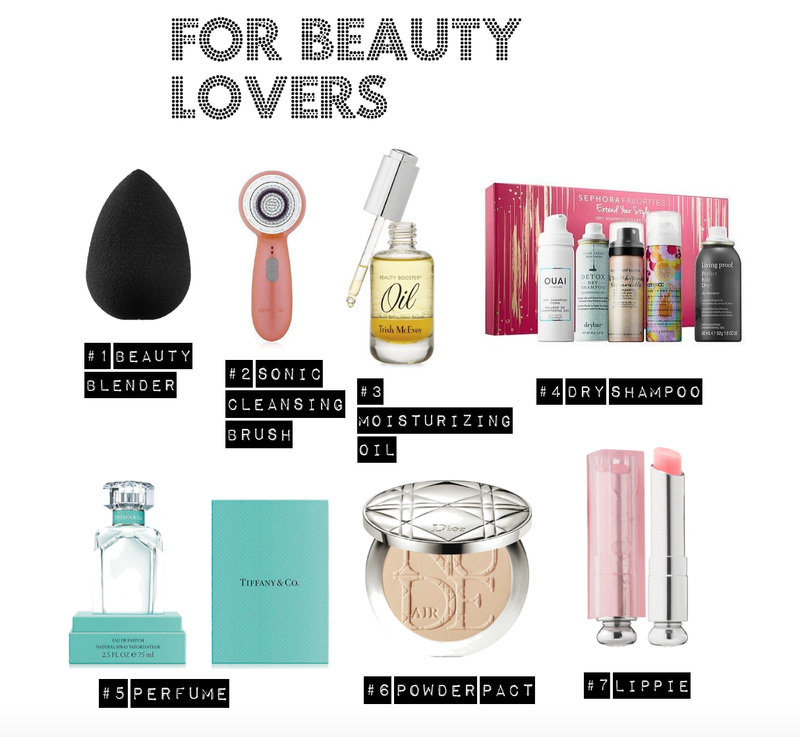 Love the one for beauty lovers! These are some really great ideas! 1 love the classic watch and the lippie. Just what I need right now. Great stuff, gave me lots of ideas! Cute picks dear! Loving the red chic purse. Such a cute piece. This helped me organize my thoughts into correct stuff to give. It has a lot of great choices and new ideas. Most are affordable but highly in demand in the market. These are all great options!! I really relate to the beauty stuff, I’m in dire need of a new facial cleanser brush. A great range of gifts, with an even better selection of prices! What great gift ideas. You have something for everyone. This is great! I will save this list for when I go present shopping.